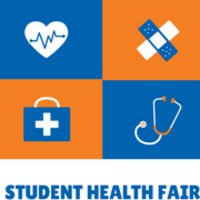 The Student Health Advisory Committee hosts the 11th Annual Student Health Fair. The health fair will promote overall health through nutrition, physical fitness, oral hygiene, disease education, and much more. Students will have the opportunity to visit with various community partners on health issues as well as enter a raffle for exciting giveaways. Free health screenings and refreshments will also be available.